A playwright, a puppeteer, and a muralist are among the presenters who will use their artistry to demonstrate the universal power of storytelling during the ninth annual Anne Frank Project (AFP), held October 3 and 4 in Buffalo State's Campbell Student Union. Events are free and open to the public. 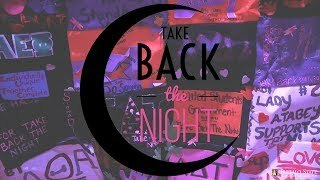 Each year during the two-day festival, performance artists, poets, visual artists, and musicians present their art as a path toward conflict resolution and social justice. “This year we have an influx of exciting new workshops from Buffalo State faculty and staff, including representatives from the Weigel Wellness Center and the Burchfield Penney Art Center, alongside national artists and speakers,” said Drew Kahn, AFP founder and director. He noted that the 2017 festival theme, “Sharing Stories. Connecting Communities,” reflects the need for all of us to do our part to improve an increasingly divisive world. 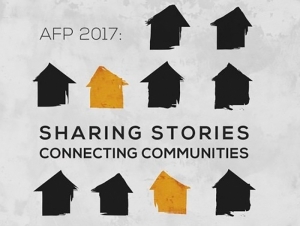 Through the storytelling model, AFP encourages its presenters and participants to navigate difficult issues and dispel assumptions. This year, Kahn and Eve Everette, AFP assistant director, decided to offer fewer, but more substantial sessions that encourage participants to share their own stories. “Our job is to provide room for conversation and activate each session, which should be one-third theory and two-thirds practice,” said Kahn. The focus on audience participation is augmented by AFP’s newest storytelling project—My Story Matters Podcast, a campuswide podcast filled with individual stories about identity and social justice. The series developed last summer, when Everette and senior theater major Julieana Guash interviewed approximately 50 first-year students, and will be available at the end of October. In the festival session “My Story Matters Podcast,” Tuesday, October 3, at 10:00 a.m., participants will learn how to conduct good oral-history interviews and record their own stories. This is the thread that has run throughout AFP since its beginning in 2008 when Kahn invited survivors of world conflicts to address the ongoing need for social justice. This year Holocaust survivor Sophia Veffer will return to Buffalo State share her experiences, followed by a story-building exercise. “As in other years, we use AFP to honor and continue the stories of Anne Frank and the countless victims of oppression whose stories were unjustly cut short,” said Kahn. October 3 at 10:00 a.m. This film focuses on the human and environmental cost of “fast fashion.” Followed by a discussion led by Lynn Boorady, chair and associate professor of fashion and textile technology. October 3 at 3:45 p.m. Along with leading a yoga practice, Buffalo State alumna Megan Townsend will share her journey of family dysfunction, drug addiction, and physical limitations. October 4 at 4:45 p.m.
Local educator, storyteller, and author Karima Amin will present stories of three women who chose restorative thinking and behavior after losing loved ones to gun violence. October 4 at 6:45 p.m.
Local puppeteer Michele Costa will weave three historic speeches into a multimedia performance. All workshops take place in the Student Union’s Social Hall or Assembly Hall except for Minita Gandhi’s one-woman play Muthaland, which will be held in the Performing Arts Center at Rockwell Hall. The AFP art exhibits You and Me and Going Beyond: An Artist’s ‘Hello’” will be displayed October 2–19 in the Czurles-Nelson Gallery and October 2–13 in the Margaret E. Bacon Gallery, respectively. To see the entire schedule, visit the Anne Frank Project. For more information, call (716) 878-5559.